For a limited time cash in on Buy 2 Get 1 FREE NERF toys with prices starting as low as $3.69! All you need to do is add 3 items from the selection on this page to your Shopping Basket via the "Add to Basket". When you're done shopping, click the "Proceed to Checkout" button. The Offer will be automatically applied to your total customer order value at checkout if you are eligible. 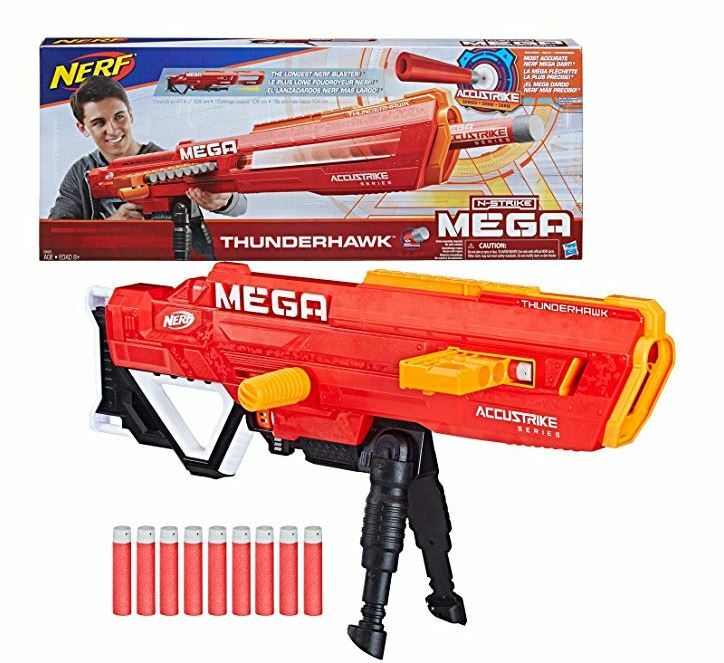 One great deal is this Nerf Thunderhawk AccuStrike Mega Toy Blaster – Longest Blaster – 10 Official AccuStrike Mega Darts, 10-Dart Clip, Bipod is on sale for $24.88 Shipped (Retail $49.99). View all of the products included in the promotion HERE.